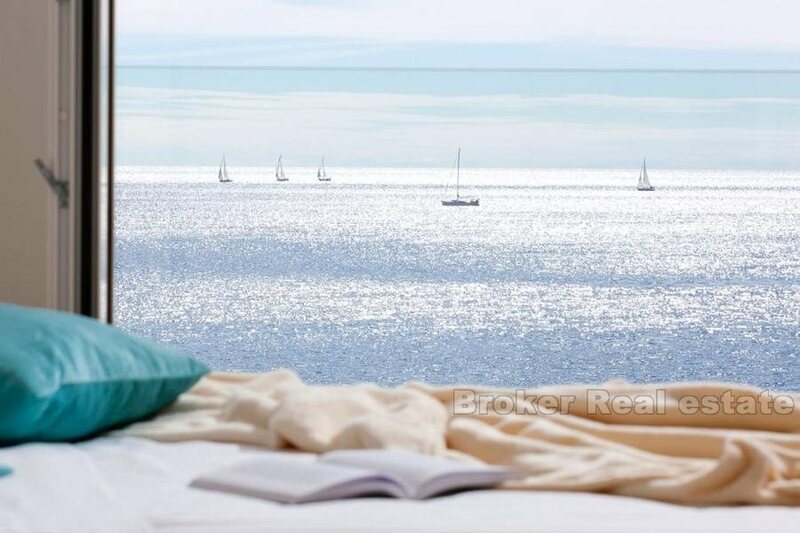 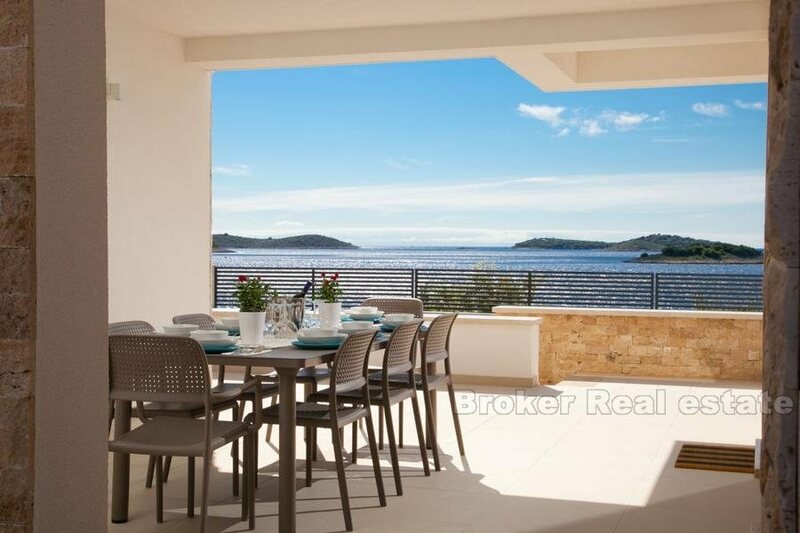 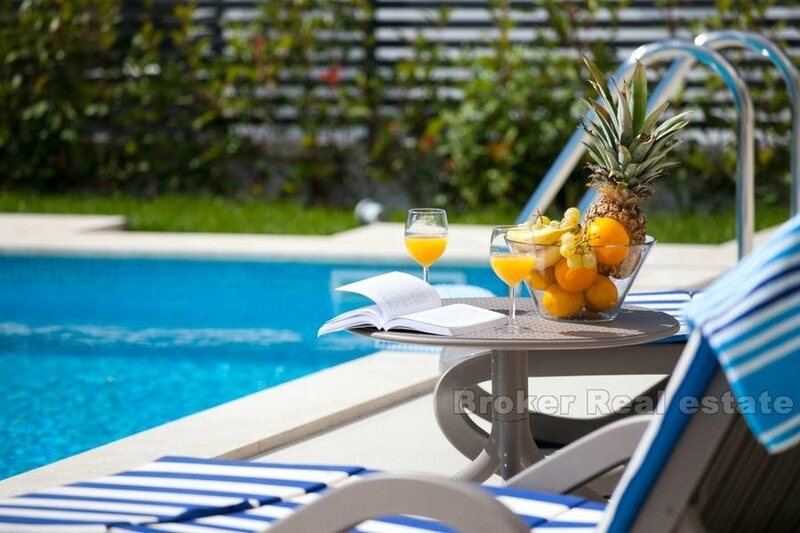 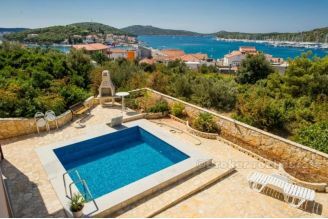 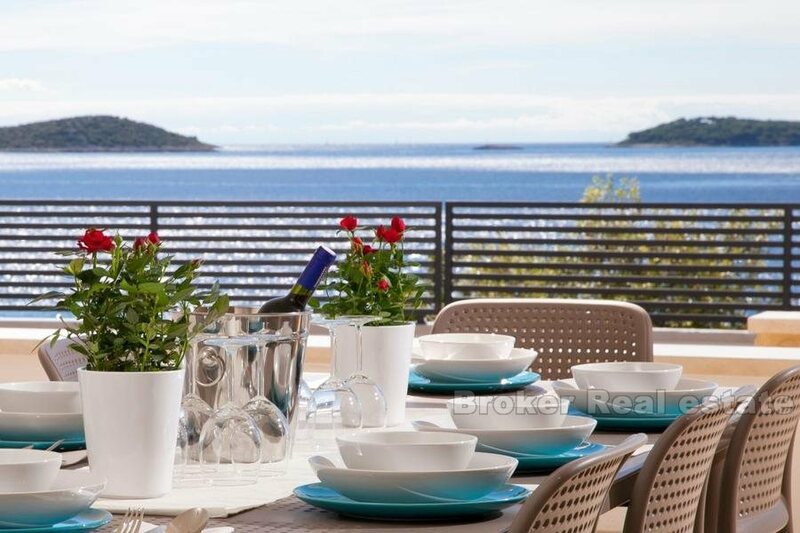 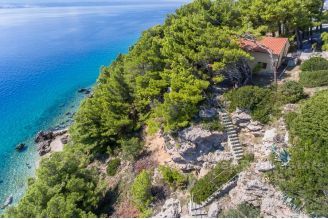 Luxury villa is located in Rogoznica, and offers the possibility of a perfect vacation with a beautiful view of the Adriatic Sea. 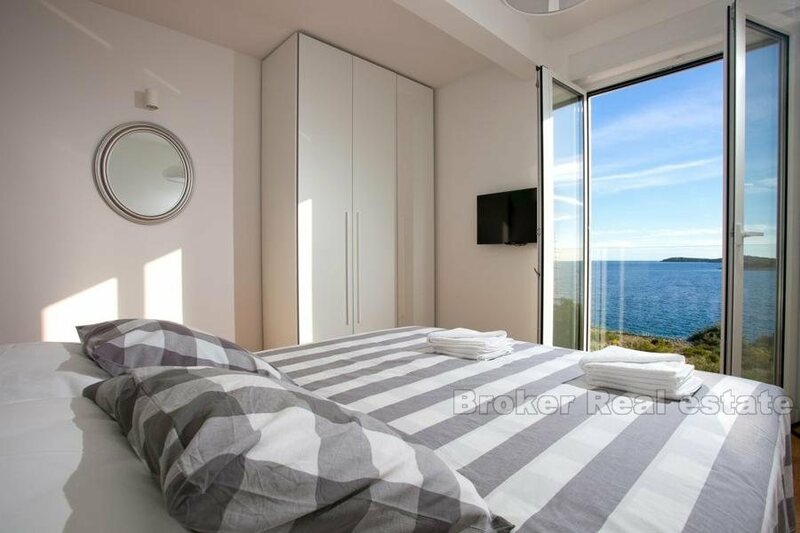 Far from the city noise, surrounded by green area and located only 50 meters from the sea. 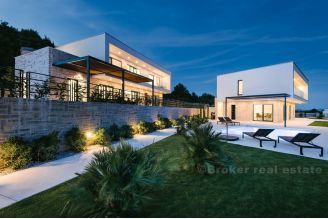 The villa was built in 2015., as a combination of modern Dalmatian construction and contemporary design. 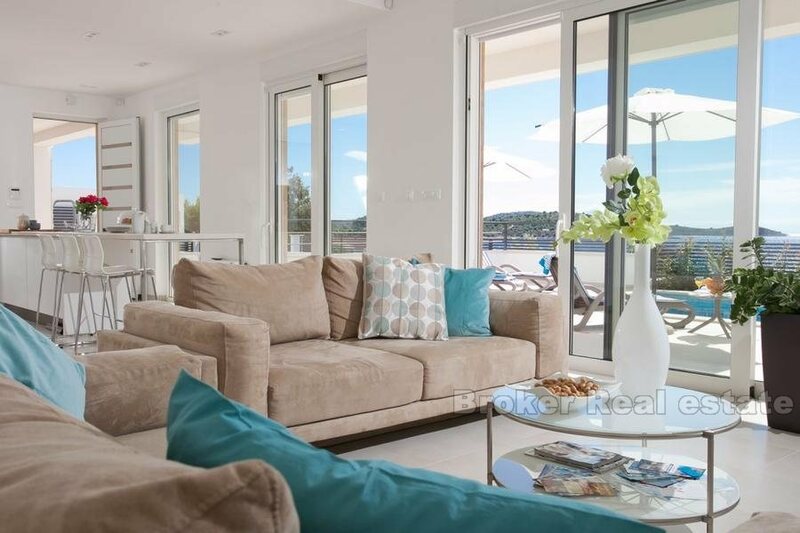 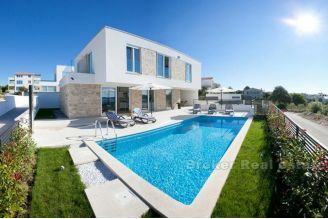 The villa is spread over two floors, with the total living area of 250 m2. 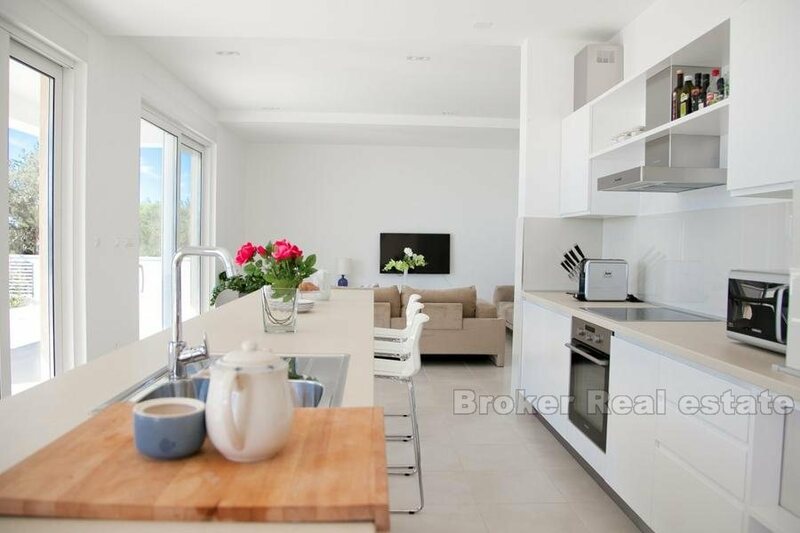 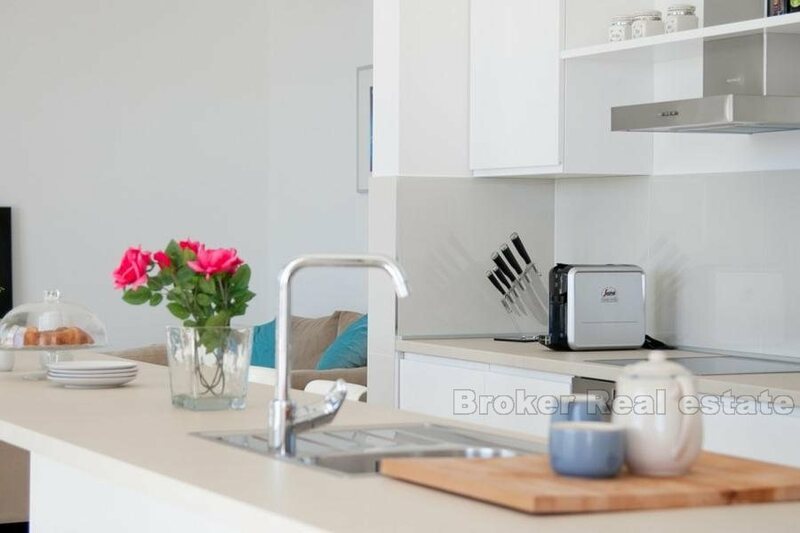 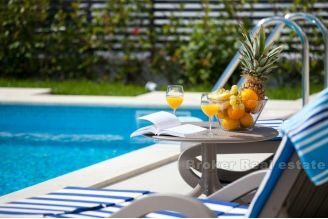 It consists of three bedrooms with double beds, three bathrooms, spacious living room with kitchen and dining area, and a spacious outdoor terrace with swimming pool (30m2), barbecue and garden furniture. 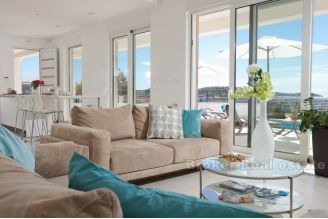 The whole house is covered with Wi-Fi Internet. 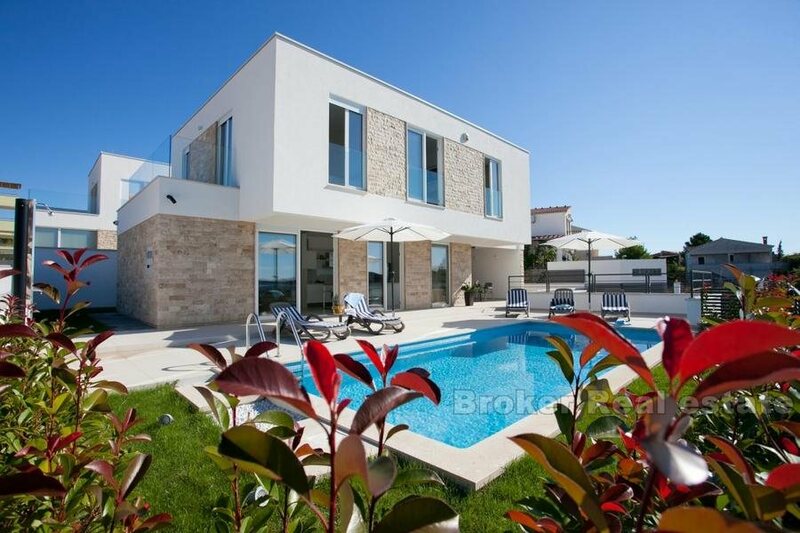 The villa is suitable for 8 people. 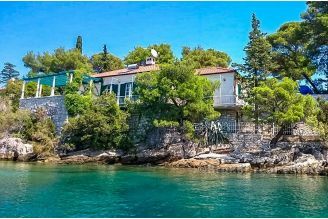 Split Airport is 35 km away, and the Krka National Park 40 minutes by car. 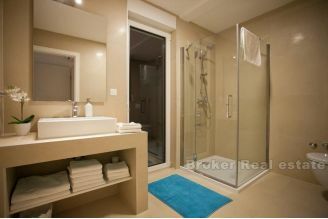 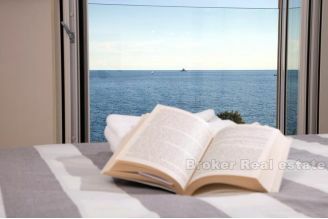 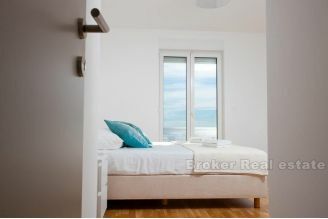 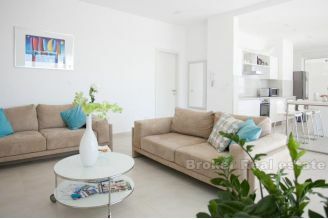 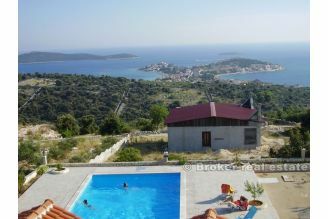 Villa is rented during a summer season, and has gross annual income of 60 000eur. For this season is already booked from May till October.